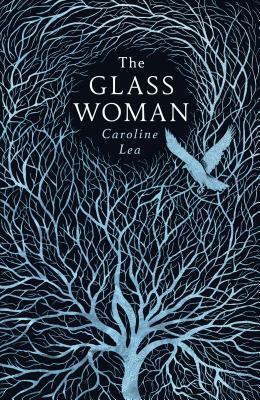 The Glass Woman by Caroline Lea, set in Iceland in 1686, has a dark atmosphere, saturated in sadness, fear and superstition, a story of suspicion, love and violence. The story takes places over just a few months from August to December. It begins in November 1686 as a body surfaces from the ice-crusted sea, a body that had been weighted down with stones. But the land in Iceland is never still and the stones had been dislodged, pushing the body upwards and breaking the ice above. And then the story steps back a few months to August 1686 as Rósa is sent to the remote village of Stykkishólmur to join her new husband, Jón Eiríksson, a rich fisherman, farmer and merchant, and the chieftain. In other words a powerful man. He and Rosa had met when he had been travelling south and although his wife, Anna, had only been dead for two months he had proposed to Rosa. She accepted him, not because she loved him but to save her mother from starvation. Jon gives her a small glass figurine, shaped in the perfect form of a woman, hands clasped and her gaze meekly lowered, as a wedding present. He said it reminded him of her. And a few months later accompanied by Petur, his apprentice, she travels to Stykkishólmur. Petur is reputed to be one of the huldufolk – one of the ‘hidden people’ or elves, who take people and feast on their souls. (Icelandic works are used throughout the book and there is a short glossary at the end of the book, which I didn’t find until I finished the book.) He warns her not to ask questions about Anna, not to him or the villagers and especially not to Jon. As they near the village Rosa becomes suspicious and fearful, especially as strangers they meet warn her that Jon may look honest but underneath he is a devil. Her fears only increase as she finds she is isolated in a croft apart from the other villagers, who shun her with the exception of one woman, Katrin, who offers to help her. Jon forbids her to enter the locked room in the loft or the outbuildings, which of course rouses her curiosity. He expects her to obey him and occupy herself in the croft – to be subservient, like the glass woman. So, Rosa obediently went through her daily tasks. There was an old belief that reading and writing could be a form of witchcraft and Rosa’s mother, who knows Rosa is too wilful to be a wife, had warned her that Jon would set fire to her feet if she wrote a single word. So Rosa, who loves the Sagas, hid her writing from Jon. Then, hearing strange noises in the loft, she is irresistibly drawn to investigate and the tension rises, slowly mounting to violence as the book progresses. I had high hopes that I would love The Glass Woman, but my hopes dwindled as I read on. I thought it was too long, too drawn out and slow, especially in the first half of the book. The structure of the story let it down for me and there are parts of the story I thought were a bit too predictable. The action takes place over just a few months – from August to December – and the narrative switches backwards and forwards over these months, between Rosa in the third person and Jon in the first person which I found rather disjointed and awkward having to work out what happened when. The pace did pick up towards the end of the book, though, as the violence reaches its climax. I liked the setting in Iceland and the historical context. Caroline Lea explains in her author’s note at the end of the book that as she immersed herself in Jon and Rosa’s world she found the landscape itself was becoming a character. I can see what she means – the landscape does play a large part in the story and I liked her descriptions of its changing nature as earthquakes engulf whole hills, the land falling away or rising up. She was also fascinated by the Sagas with their references to the supernatural and that comes across strongly too. The questions, however kept my interest – what had happened to Anna, what is in the locked room, and why does Jon want to keep Rosa away from the village? And what about the body that emerges from ice – how does that fit into the story? Overall, then I did enjoy this book. My thanks to the publishers, Penguin UK Michael Joseph, for my review copy via NetGalley. This is my first book for the What’s In a Name? challenge – a book with the word ‘woman’ in the title, for the When Are You Reading? challenge, the Calendar of Crime challenge and the Mount TBR challenge too. I have a NetGalley copy of this too which I’ll be reading soon, so I’m sorry to hear you didn’t enjoy it more. I’m glad you still found things to like, though, and I’ll be interested to see what I think of it. It can be a bit odd sometimes when you can’t quite decide how you feel about a book. Sometimes I have to wait a couple of days to decide whether I liked it or not and sometimes I do and I don’t… like you here. Glad it’s not just me. I fancied this one from one of your previous posts, I won’t buy it but if I see it in the library I’ll grab it as I find Iceland fascinating. Very nice review. Brilliant review! This looks quite interesting.